The acronym NIMBY (not in my backyard) is often used when speaking of litter. In other words, rubbish is not a concern until it directly affects our lifestyle. This is a very real problem and litter is becoming an increasingly important issue throughout the United Kingdom. For example, were you aware that 48 per cent of the population admits to dropping rubbish? In fact, the sheer amount of litter has increased by an incredible 500 per cent since the 1960s (1). It is therefore important that we begin to take responsibility for our actions in order to ensure a safe and healthy environment for future generations. The real issue is that many Styrofoam cups and cigarette butts contain substances that will not easily decay; their presence within the environment is felt for years. So, what can we as individuals do in order to cut down on such instances? Contrary to popular belief, one person can make a difference. Let’s assume for a moment that you make it a point to begin a campaign to pick up litter throughout the neighbourhood. The chances are high that others will soon join, as they see that you take pride in the local environment. There is indeed strength in numbers. Another benefit is that children will follow your example. Instilling such habits at an early age helps to ensure that they last a lifetime. After all, the younger generation is always in need of role models. Another powerful incentive to pick up trash involves the money that you will save from a long-term point of view. 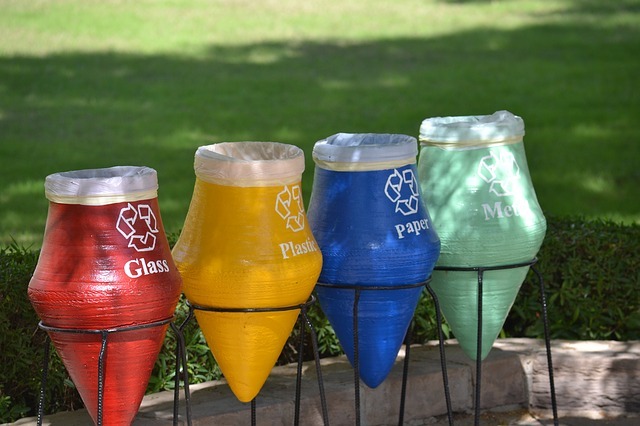 Recycled products are much cheaper to produce than those which need to be manufactured from scratch. These savings will inevitably trickle down to the average consumer. This is also the reason why many litter bins are now used to recycle specific substances such as metal, glass and plastic. Glasdon provides a number of different options to choose from such as indoor bins, receptacles for animal waste and even containers which are resistant to the elements. There are no shortcuts when referring to proper waste disposal techniques and recycling is a critical component. Assuming that the current waste-related trends continue, global pollution will undoubtedly have an impact upon our children and grandchildren. This is why taking a proactive approach at the present is the best way to ensure a clean and bright future. Change begins with all of us and there is simply no time left to “waste”.